Master Mingtong Gu shares how the ancient practice of qigong can help the mind and body heal itself of trauma and cancer in the new film – Cancer; The integrative Perspective. In 1997, Master Gu began his training under Dr. Pang Ming, a qigong grandmaster trained in Western medicine and traditional Chinese medicine, and the founder of the world’s largest qigong hospital. During his training, Master Mingtong observed thousands of cases of chronic and “incurable” diseases being healed at this “medicine-less” hospital, which has now treated over 200,000 patients with over 185 different illnesses, with a 95 percent effective improvement rate. 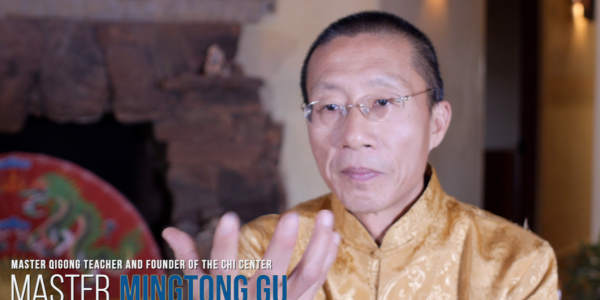 Master Mingtong is the founder of the Chi Center and the Center for Wisdom Healing Qigong, a beautiful resort located 20 minutes south of Santa Fe, New Mexico.